Margaret was born in the front room of 74 Delaval Road, West Benwell, Newcastle on 27 April 1937 and she has lived in West Benwell/Scotswood area all her life. Her dad worked in the foundry at Vickers Armstrong in the war years, her mother had worked for Robert Sinclair Tobacco Company at the bottom of Westgate Road before she married. During the war Margaret spent many happy weeks living with her mother’s sister- her aunt and uncle- he was a gardener at Coupland Castle near Wooller, Northumberland. She would go “at the drop of a hat” here she could roam free. Just like her mam and Grandma she attended the old Board School, Delaval Road at the bottom of her street and then at 10 went on to Whickham View Secondary Modern. That was the finest school in Newcastle at the time- the only one to have its own swimming pool and science labs. She left at 15 and went to work (for one month) in Carricks Bakery on Westgate Road. Frustrated by this job, on her dad’s recommendation she applied to work in the offices of the CWS in Blandford Street- at that time her dad was working in the coal department in Stowell Street. Margaret wrote a letter, was called to sit a numeracy and English test and then having successfully passed the test was called for interview and offered the job in the General Office. The girls started filing the orders, each Society(customer) had its own file, some individual co-op shops (grocery) ordered directly- they were ordering all those things supplied by the CWS from groceries to drapery to furniture etc etc. The boys started in the post room and “ne’er the twain shall meet”. The filing was done on the balcony of the General Office alongside the typists and comptometer operators. There were no men typing or comps. All the bosses were men, the only women were in charge of small teams of young women- she was a miss. The CWS didn’t believe in married women working indeed when she got married she had to write to ask if she could keep her job- she needed permission to stay on. As soon as women were about 7 months pregnant they had to leave- in their view women had to be at home if you had a family- this was the way it was in those days. The only women who could be employed were widows. This was true for all employment at that time. You could work in a shop if you were married but that was because shop work could be part time whereas office work was always full time employment. After her initial work in filing Margaret tried typing but experienced problems with her wrists and the doctor advised a move- the Co-op sent her the General Office downstairs. Mr Todd was the boss over 3 desks, she remembered his loud voice and easily overheard phone calls- even over the noisy machines. The clerks were checking ledgers and recording stock sold. There was a strict hierarchy and everyone knew their place. She got the books from Grocery and Boot and Shoe, a couple of times in the year she and a colleague would go to the bonded warehouse on the Quayside (now the Malmaison). Here they stored the wines and spirits brought up the river to the Newcastle Quay. It was a dirty, down and out, rat infested sort of place. This was a rough area- docks, pubs, sailors and prostitutes- so it was safer for the girls to go in pairs. They went just inside the door of the warehouse to collect their ledgers- they were allowed to go no further. We weren’t allowed to use the main entrance, we used the corner entrance off Westmorland Road. There was a lift (which we were not supposed to use- but we did , especially when carrying those heavy ledgers) and a flight of stairs to the General Office. At the top of the stairs was the Grocery (on the left) and General Office (on right)- on the next floor there was the Bank, Board Room(now Tyne and Wear Archive) and Balcony. The Board Room was very plush and Margaret (at 17) was impressed by its wood panels etc- much superior to their office- “it was like going into a palace” .Then there was the canteen now the banqueting suite, once a year a staff dance was held in that room. We sat at long tables- there were good meals and reasonably priced. If you took sandwiches you had to eat at your desk- or if you needed to go shopping you would take your sandwiches out with you- there was plenty of time to do a couple of things and shop-we had an hour for lunch. Margaret thought there must be 2-300 people working in the General Office and Balcony.The Noth East Co-operative Societies Heads of Department came to order wholesale from Blandford Street although individual Co-op shops might have come to order their grocery e.g. Benwell High Cross. These orders would be typed up and checked in the office, the comptometer operators would add up the order and then once the bill was paid then the orders would be filed- it was really a paper chase through the departments at Blandford Street. Margaret talked about the relationships with bosses and work colleagues. 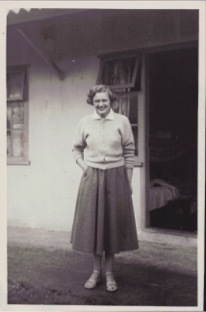 She felt it was strict- you had to ask permission to make a pot of tea at 10 am, ask if you wanted to go out and buy a snack (a lot of people from the surrounding mining villages would have had to leave home early to get to work on time). They didn’t clock in but had to go to the boss and apologise if they were late and then if this happened more often you would be sent to a more senior manager.You had to ask permission from your female supervisor to go to the toilet and if you were unwell you would go to the nurse. She would give tablets – you were not allowed to bring your own into the office – although Margaret did- the strip lights and darkness if you were working under the balcony gave her frequent headaches. Lorries loaded and unloaded in the area of the Discovery Museum now used by the Turbinia . Most of their stock came from CWS factories down river e.g the shirts from Pelaw factories. They did cure their own hams in the building but the rest of the food was already prepared. Fruit and Veg were sent out from the CWS warehouses in Stowell Street. The CWs could provide you with all that you needed. If you got married you ordered your cars from Co-op Funerals- there were no funerals on a Saturday so that freed up the cars to be used for weddings- they were based in Stowell Street. You got your flowers from the Fruit and Veg. in Stowell Street and you ordered wedding invitations from stationery in Blandford Street.- they would be printed in the Print works- that fine building on the corner. You can recognise they were Co-op buildings by their design although today they have different uses. Some of her work colleagues were nice and some were not and she left when their attitude caused her mental health problems. A lot of the young women came from the pit villages, they hadn’t been born in the town and sometimes they would speak and at other times they would ignore you. Margaret felt their behaviour was tolerated by the supervisor on their table and that was the root of the problem. You had to be in a Trade Union the minute you joined you got your card., it came out of your wages along with taxes and superan. The wages were better than other jobs for example I got £1.10/- when I worked at the bakery but got £2 at the Co-op for a 5.5 day week. Wages went up on your birthday until you were 21 when you were on full wages. WE worked 9-5 and a Saturday morning, and had 2 weeks paid holiday each year. Her family considered it to be a good job- this would be a job for life if you were a man and until you were married or pregnant if you were a woman. Margaret remembered one girl (unmarried) who became pregnant and they finished her. One girl got VD and she was treated like a leper- she was allowed to stay. Everyone in the office knew- it was impossible to keep secrets. She thought these standards were set by society not just the Co-op. The girl who was pregnant was thrown out of her home by her parents and she had to go to the Salvation Army unmarried mothers part to have her baby. They wanted her to give up her baby but she wouldn’t this girl was a bit older (20’s) so she got a flat. There were clubs to join like the Operatic Society but Margaret didn’t feel confident at that age she had never been exposed to that kind of music, nor even pop music – your mother and father decided what to listen to on the radio. One day one of the bosses recognised her” nice contralto voice” tried to persuade her to join. There was no music in the office. It was only men who were bosses, women didn’t get any higher than section head.